"Not only did you make the logistics of the meeting effortless, but your input on the agenda and production were invaluable." Situation: The company has substantial operations throughout India, and has proposed holding its next Board of Directors meeting there, in order to evaluate operations. In addition, due to the destination, they have decided to allow Board members to bring guests as well. 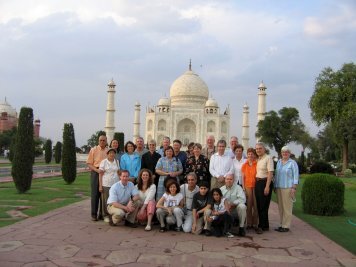 The company has facilities in Delhi, Bombay, and Chennai (Madras), and they only have 5 days to cover all of the territory, including a tour of Agra (Taj Mahal). In addition, the company�s internal security team is very concerned about the safety of all of their VIPs. A-Plus Approach:In order to accomplish all of the goals set out for this program, A-Plus meeting planners arranged for charter aircraft for each domestic leg of the program. The cost of chartering modern aircraft in India proved to be within the budget of the program while providing the efficiency required to make the schedule work. Using A-Plus contacts with Taj Mahal hotels, we were able to book excellent rates at some of the top hotels in India. Additionally, we used our local contacts in India to book the Amarvilas hotel in Agra, the only luxury property with views of the Taj Mahal. This trip required the unique skills of A-Plus, both for the meetings and for the leisure component of the trip. We set up meetings and logistics throughout India, while also offering day tours and hosting dinners for local guests at each destination. 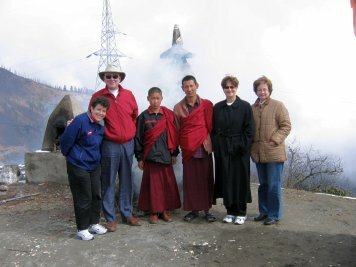 Finally, we set up a complete tour package to Bhutan, which limits its number of tourists, as a post-meeting option exclusively for our client. Customer Comments"We wouldn�t have know where to start with this, but you made it easy�..this was not only an amazing trip as a traveler, it was the best Board program we�ve ever done"